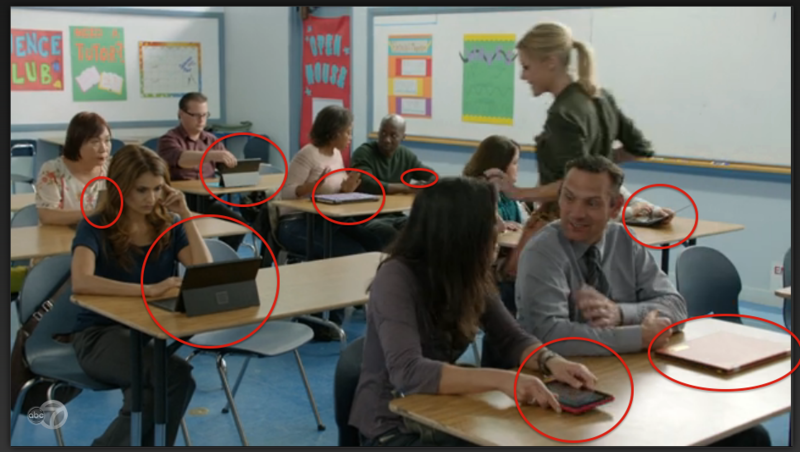 Microsoft must have paid Modern Family a lot of money for the rights to product placement, because in one screenshot, I found eight products placed, from a Windows tablet, to a Surface-like tablet, to Windows laptops. Seriously, it’s a barrage of Windows Products. It’s the best marketing I’ve seen from Microsoft in recent years. Especially compared to their awful TV ads. Apps- Improving lives or Making us Lazier?